Love, love, love this product. Purchased this item for my grandson for Christmas. He is going to love it. 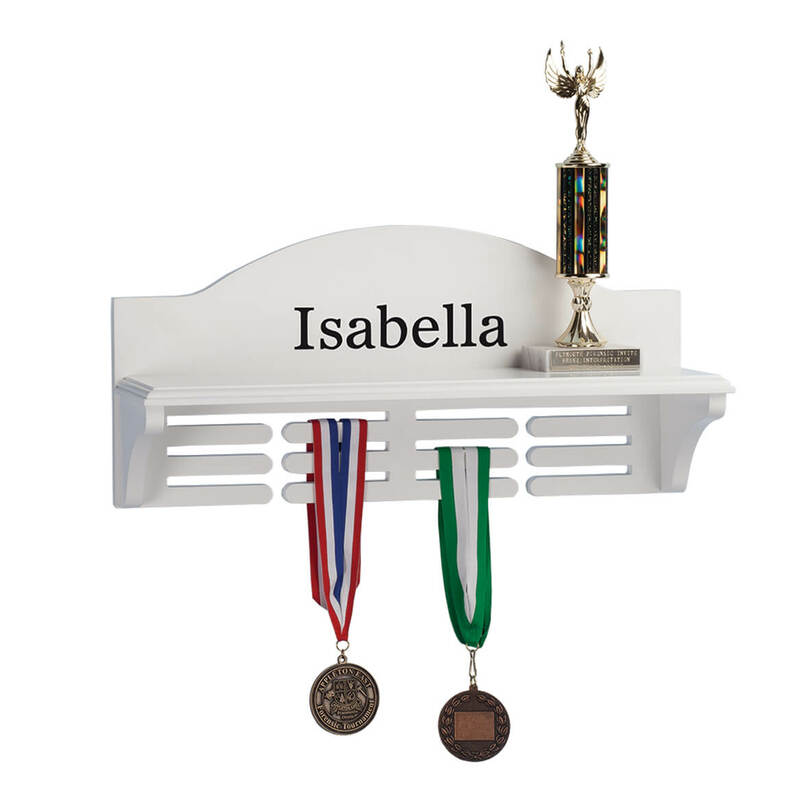 My granddaughter is a gymnast for the past 4 years and started accumulating medals and trophies but nowhere to display them. 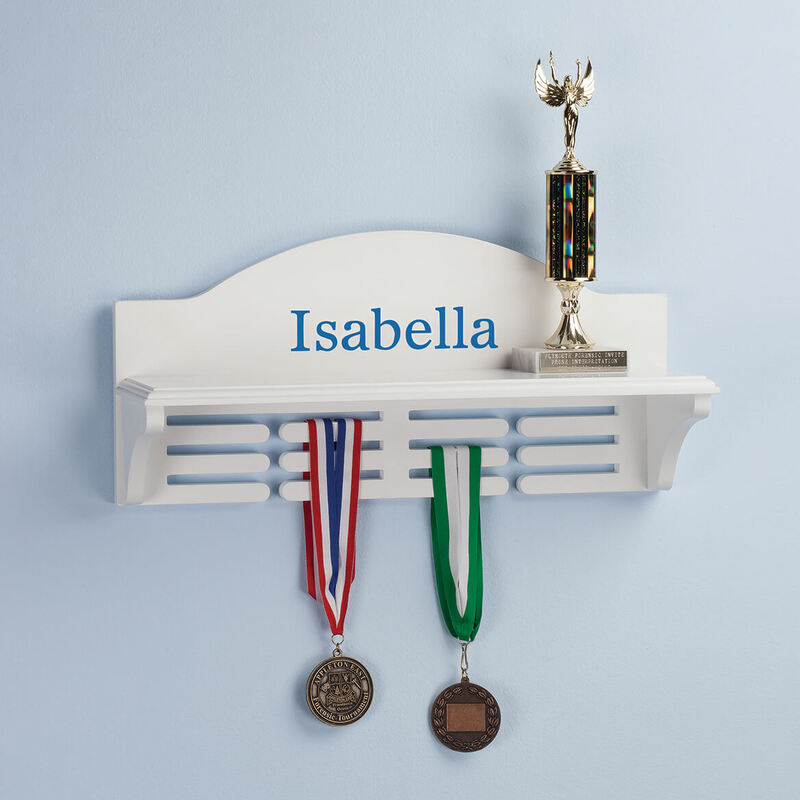 Finally, I saw this great shelf that I can have personalized and she can enjoy her successes without putting them away in a drawer or box. A great idea.